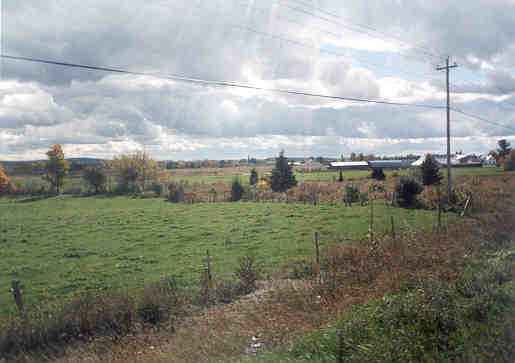 Dairy farm near Johnville, NB. 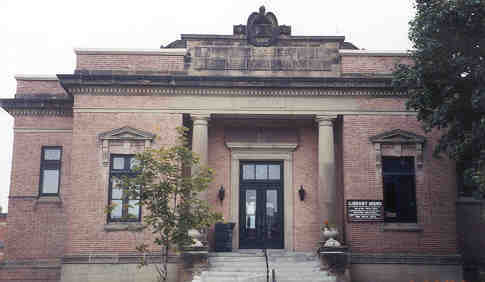 The L.P. Fisher Library was built in 1912-1914 and is located at 679 Main. Lewis P. Fisher, the first mayor of Woodstock, outlined in his will a free public library was to be built from his bequeath. 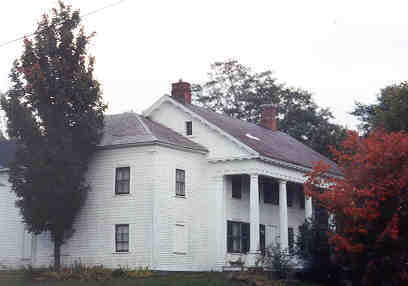 This Greek Revival building was designed by G. Ernest Fairweather of Saint John. Fisher was a lawyer of Loyalist descend and was mayor for twenty-four years. 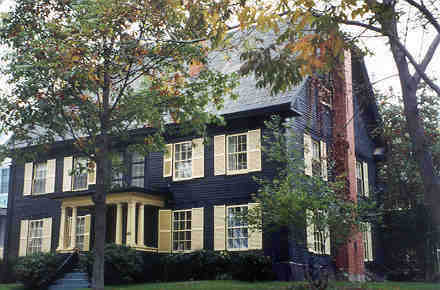 Historic homes can be found through Wookstock particular Connell Road. 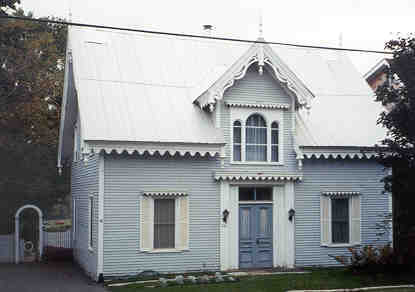 This Gothic Revival lacy "gingerbread" trimmed cottage was built in 1856 by James Carr, who was called the "Barkman" as he sold hemlock bark for tanning. The photographs were taken 26 Sept. 1998.